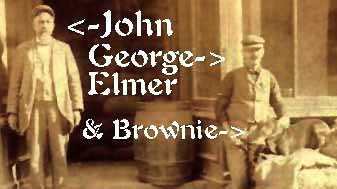 George was a clerk, son of John & Lydia (LIBBY). Married Agnes on 10 October 1891 in Portland [S36: ME VR- Marriages (at SLC)]. S135 writes: "He lost the store, the one he is standing in front of. My dad remembers being told about a disagreement with the Pillsbury Company, which is funny because my father ended up working for Pillsbury for 45 years. Also John F. TREFETHEN told me that the store was lost due to a love of 'wine, women and song'... in other words he couldn't manage the business."